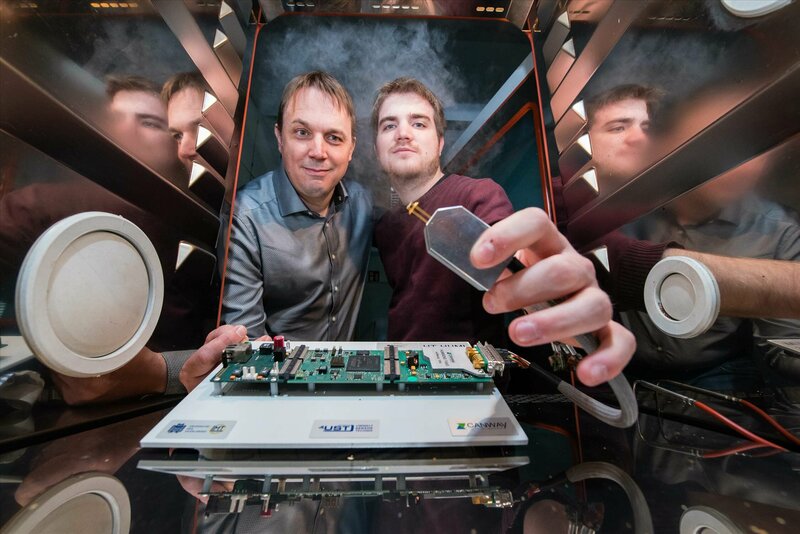 A new sensor system developed in Saarbrücken, Germany can not only carefully control drying processes in industrial ovens, but can deliver reliable air humidity measurements even at high temperatures and in the presence of other background vapours. Professor Andreas Schütze, project manager Tilman Sauerwald and their research team at Saarland University have developed with partner companies a sensor system that precisely monitors industrial drying, baking and cooking processes. The new system improves product quality, optimizes the production process and lowers process energy demands. The project has received funding from the Federal Ministry of Education and Research's priority funding programme "KMU-Innovativ' that promotes innovative technology in small and medium-sized enterprises. The engineers will be showcasing their heat-resistant sensor system from the 1st to the 5th of April at this year's Hannover Messe (Hall 2, Stand B46). When food is being baked or steamed as part of an industrial production process, it is important to keep a close eye on humidity levels. If bread or baked goods lose too much moisture or lose it too quickly, the final products will not have the required properties. If, on the other hand, you can control the humidity in the oven precisely, the croissants will come out perfectly fluffy and the bread will have a deliciously crisp crust. "Precision monitoring of humidity can have a crucial effect on the quality of the products. Knowing the humidity levels allows us to carefully control the temperature and air volumes during the production process, and thus also save on energy," says Professor Andreas Schütze of Saarland University – an expert in the field of sensor and measuring technology. Precise measurements of moisture content is also critical when drying wood, textiles and coatings in industrial dryers – particularly to prevent heat damage to the materials.